As you know maxi dresses are kinda my thing! I haven't met a maxi that I didn't love, and I really mean that! I always feel great while wearing them (for some odd reason they make me feel taller ha)! My favorite thing about this dress, besides the price of course, is that I can dress it up or down. I love any outfit that can be worn more than one way! Plus this comfy maxi comes in 6 stunning colors!! Thinking I may have to grab up this amazing stripe one as well!! Todd and I were actually on a date when we shot these. After dinner the wind was blowing and I was cold so I tossed on my cardigan and threw my hair back in a ponytail! Love the black, great classic maxi. You look super tall and skinny in these pics! and I swear I had pony tail holders just like those when I was a kid loved it you just clipped it right over your ponytail! Love it! You're maxi queen!!!! Love your outfit! You do look great in maxi dresses. I love that your husband takes pictures of you and good ones, too! 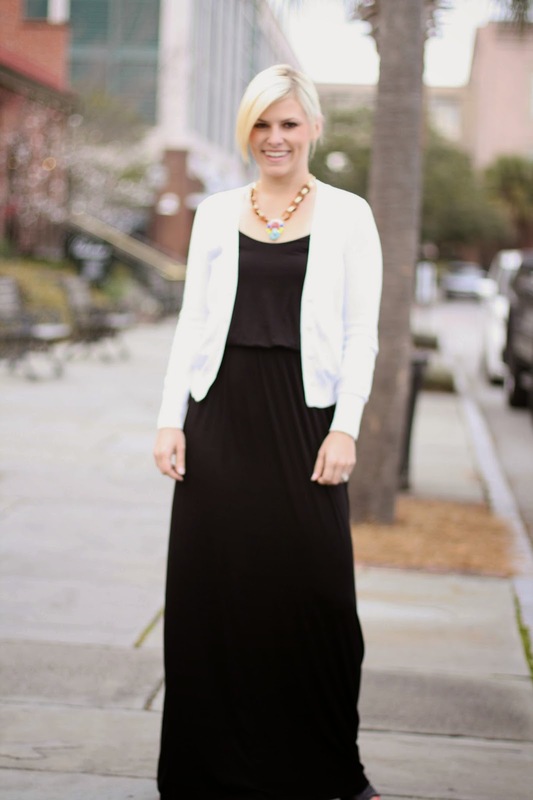 That is a perfect black maxi! Um, and those heels!!! Love those too! Great pictures of you, that is so sweet your hubs takes theses for you!!! Love it! And love the price even more! I have a similar black maxi in my shopping bag at Piperlime just waiting to check out. And my hair is in a pony tail a lot too. I am going to get that ponytail holder. Perfect! so pretty! love the necklace with it too! I love a good black maxi dress! You look gorgeous! And dying over those heels! Great pics! 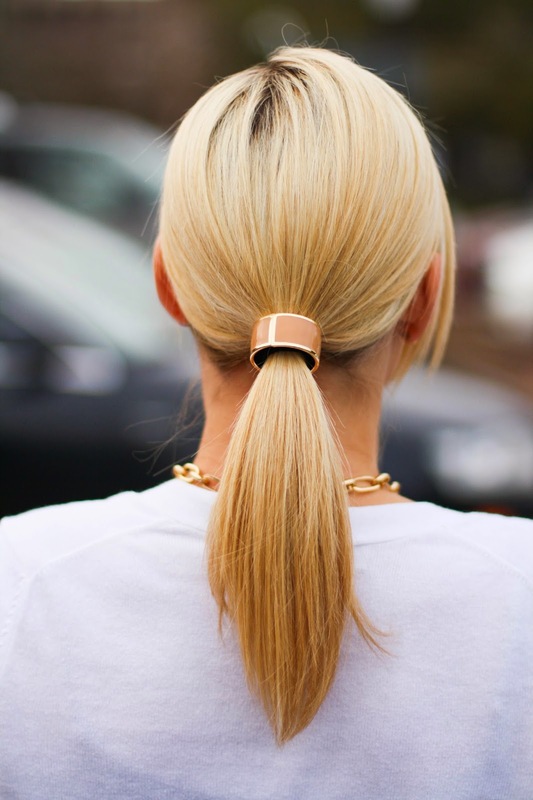 Love the ponytail holder! Love that maxi! I have been on the hunt for a new black maxi. What size did you order in this? Well aren't you just adorable! Love this! What size maxi did you order? Is it junior sizing? Could you get any cuter? So darling. And Todd is taking awesome photos!!! What a team. You know I love that dress. Run run run.... Shopbop Friends and Family!!!! !